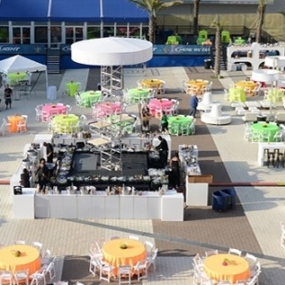 Champions Square, a 60,000 square foot outdoor festival venue, opened in 2010 and instantly became on of the city’s most popular entertainment venues for private events, festivals, and concerts. 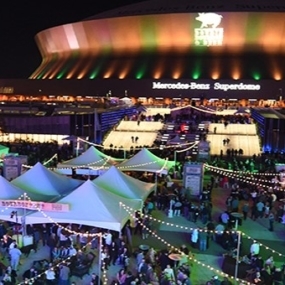 Adjacent to the Mercedes Benz Superdome, it connects to an additional 18,000 Square feet of venue space with additional Club XLIV and Encore combinations. 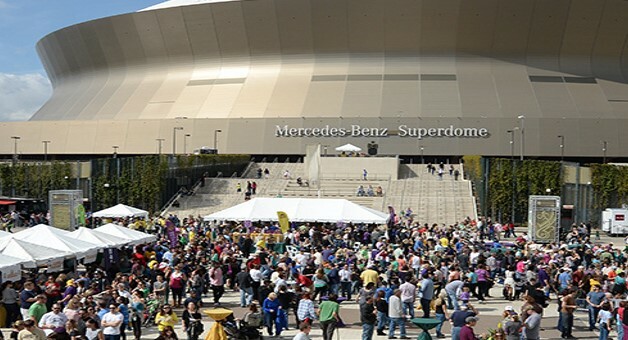 The Square plays host to thousands of Saints fans prior to each home game, has hosted legendary musicians, and is conveniently located in the heart of New Orleans’ Sports District. Branding opportunities are almost endless with its state of the art technology and a built in stage. 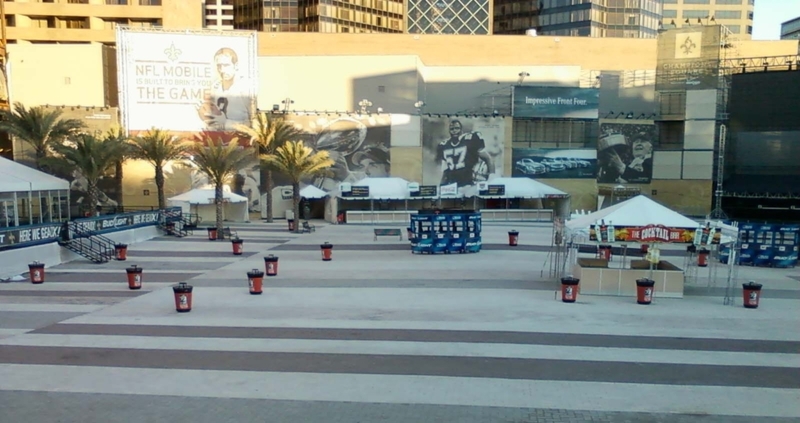 Champions Square is one of New Orleans’ most notable outdoor venues. 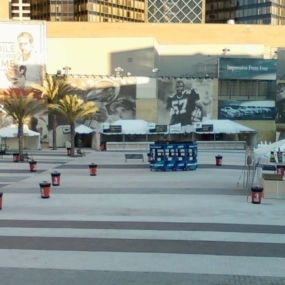 Champions Square can host a variety of events. Within the square itself, the sky is the limit. 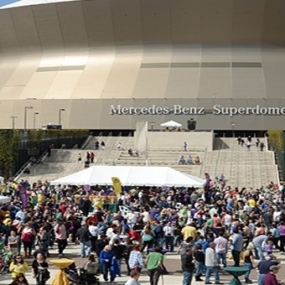 Every Sunday during football season, tents, food vendors, and 8,000 Saints fans call Champions Square home. Upon entering, guests are greeted by a built in stage and cutting edge technology all under the backdrop of the Mercedes Benz Superdome. Champions Square serves as a blank canvas and the perfect outlet to let your creative ideas come to life. Adjacent to Champions Square sits Encore and Club XLIV. These two venues serve as great options for VIP areas or additional space to let your guests wander. With modern furnishings, illuminated bars, and specialty lighting, Encore and Club XLIV perfectly compliment the lively atmosphere of the square. 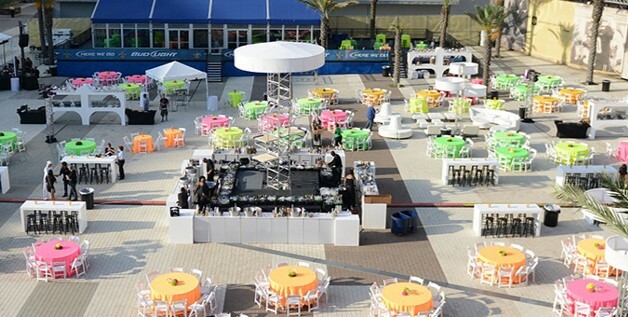 This spacious venue, with indoor and outdoor options, boasts over 90,000 square feet. With indoor spaces that provide guests with the opportunity to host smaller, more intimate gatherings, and an outdoor space that can accommodate the most rambunctious of crowds, the possibilities are endless!